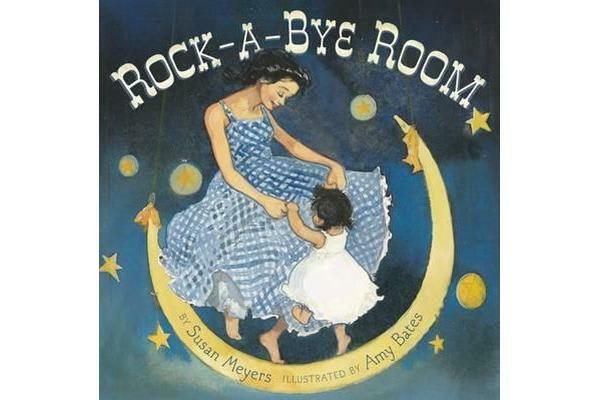 “Rock-a-bye, little one, bedtime is soon. Rocking horse waits in your rock-a-bye room.” In this timeless bedtime book, a mother soothes her child to sleep with this simple rhyming text as they say goodnight to all the things in her room—a rocking horse, toy box, teddy bear and even the child’s pillow and blanket—until it’s time for the mother to kiss her goodnight. Amy Bates’s lush watercolours evoke a “countrified,” rockabilly setting with a hip twist. This is Goodnight, Moon for a new generation.